Tuesday: Don’s Original works on a rotating basis. Wk 2 is Ground Round, Cheeseburger, Turkey Burger or Veggie Burger with pretzels on the side. Wk 3 is Chicken Tenders with pretzels on the side. 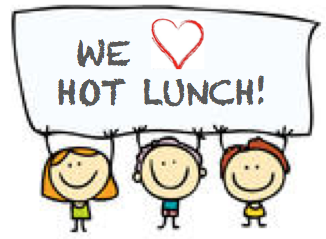 Wk 4 is Hot Dog or Chicken Sandwich with Ice Cream or a fruit cup. Wednesday: Rosey’s Italian Café. We offer you a choice of pasta with sauce or butter and a turkey and cheese sandwich with seasonal fruit. Thursday: Mark&apos;s Pizzeria. We offer cheese or peperoni slices and Italian or ranch salads. Click on the button below to go to the lunch order site. The school code is 129sjspenfieldn. If you have any questions about the lunch program, please call the school office at 586-6968.